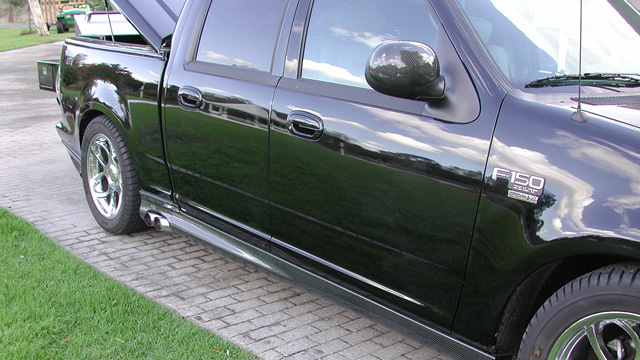 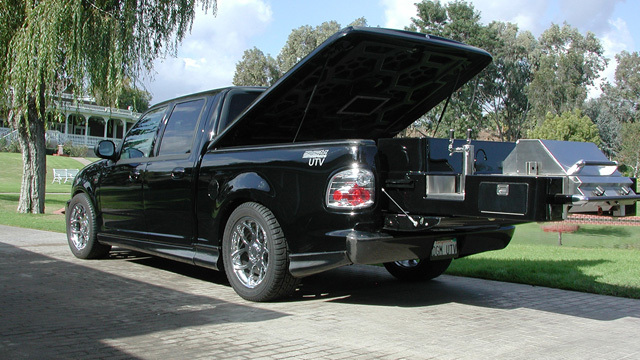 The DGM/Ford F-150 Ultimate Tailgate Vehicle is the finest in American tailgating luxury. 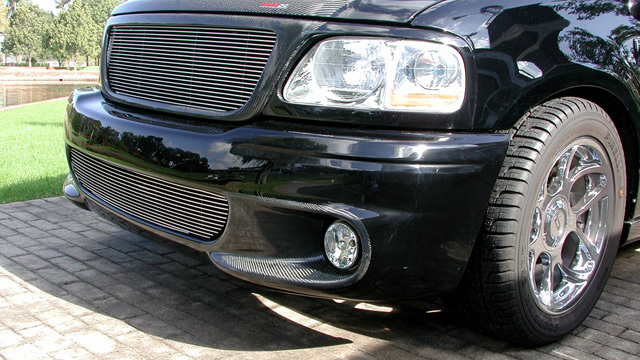 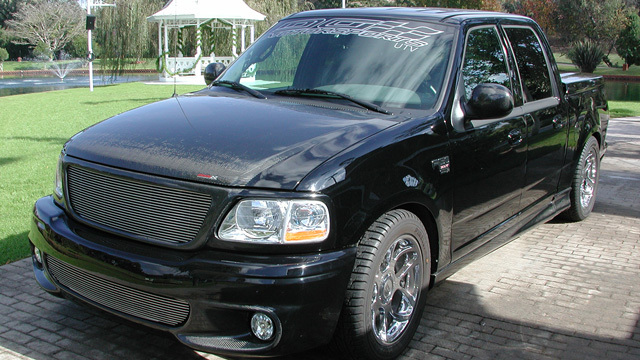 This Heritage Model F-150 features a DGM body kit and lots of carbon fiber. 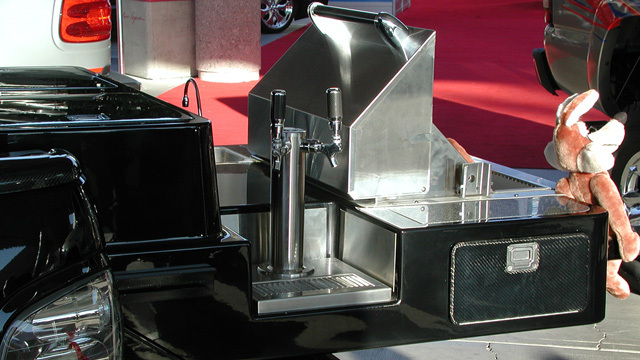 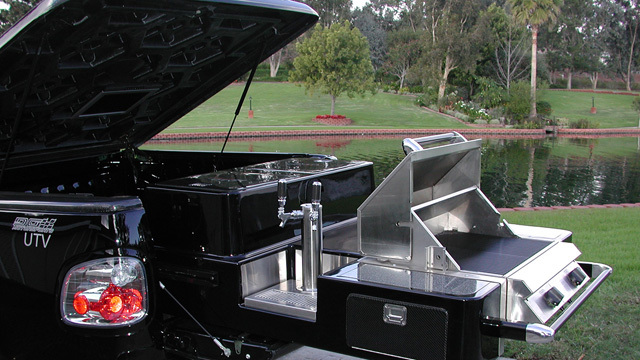 The pull-out tailgating unit was designed and built by David Green here at DG Motorsports. 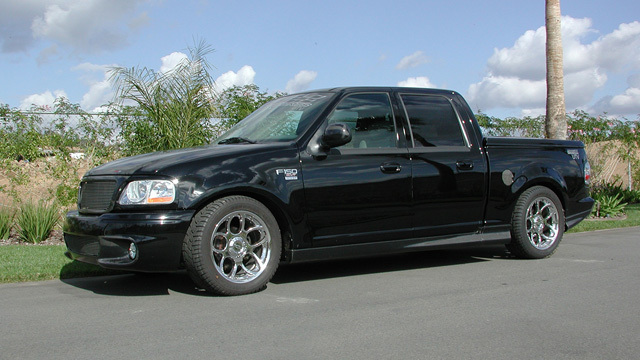 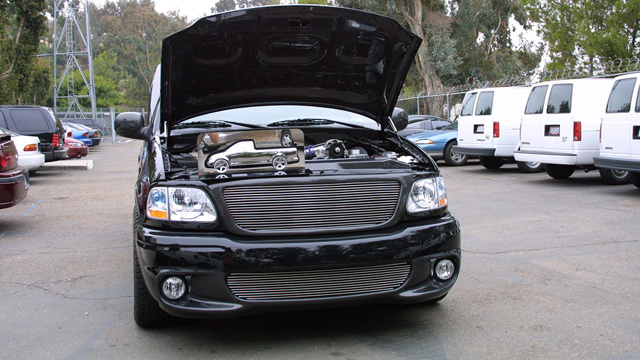 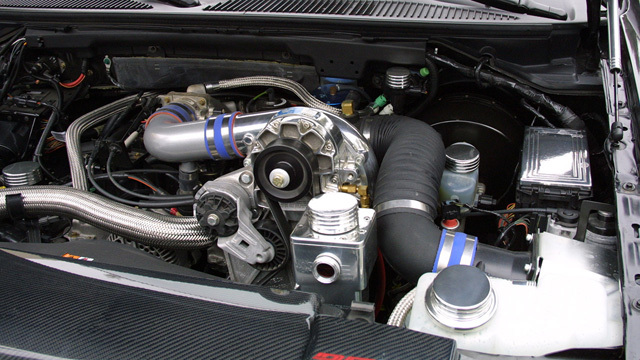 Awarded BEST OF SHOW - PICKUPS - by Ford Motor Company, SEMA 2001.